Many of us go through our busy lives with many acquaintances but few true close friends. Most of our daily conversations focus on the mundane, or we barely scratch the surface of what's going on in our friends' lives as we try to catch up on the run. We weren't meant to travel alone. Yet many of us are afraid to reveal our innermost thoughts, of being too nosy or not "religious enough" to commit to spiritual kinships. 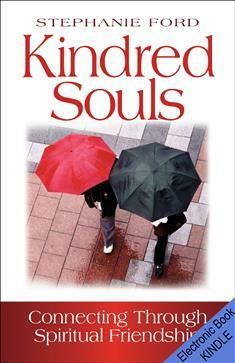 Kindred Souls is for individuals, prayer partners, or small groups who want to deepen the friendships they already have and open themselves to new possibilities God offers. Let this book guide you as you seek kindred companions to encourage and challenge you on the spiritual journey.